We compare these two highly rated VPNs, feature by feature. Choosing a VPN is no easy task when there are so many choices available—as our comprehensive roundup of VPN reviews demonstrates. 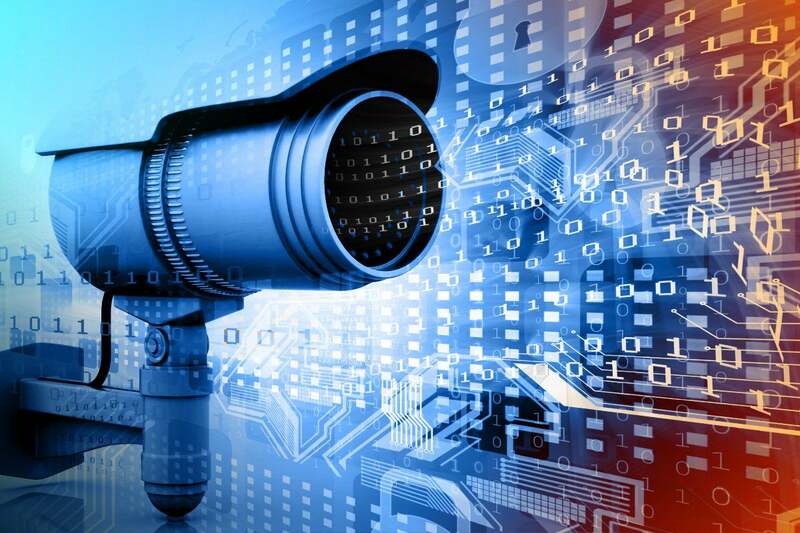 Everywhere you look online, some service is offering to help obfuscate your location and protect your browsing habits from your internet service provider (ISP) and anyone else lurking around the web. Before you plunk down your cold hard credit card number, however, there are many questions to ask. Can you trust the company? What are the speeds like? Is there a desktop app and is it easy to use? How many country locations are there, and can you still watch Netflix while connected? 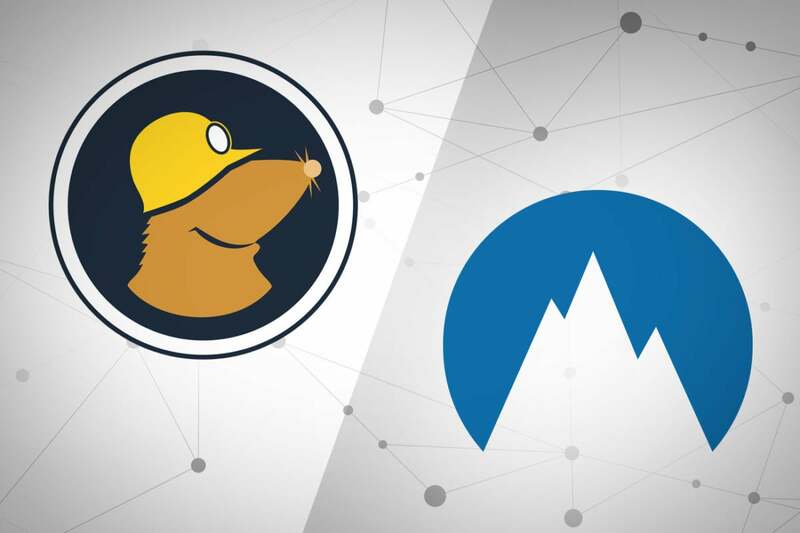 Let’s take a look at two of the most popular VPN choices—Mullvad and NordVPN (the former is our current top pick for a VPN)—to help you understand how they differ and figure out which one is right for you. The primary way we interact with a VPN is through its desktop app. A bad app may not be a deal breaker, but something that’s easy to use just makes things simpler. NordVPN on Windows uses an interactive map to help you connect to the location you want. This can be a little overwhelming from the zoomed-out view (especially if you’re looking at Europe), but zoom in and everything becomes clearer. 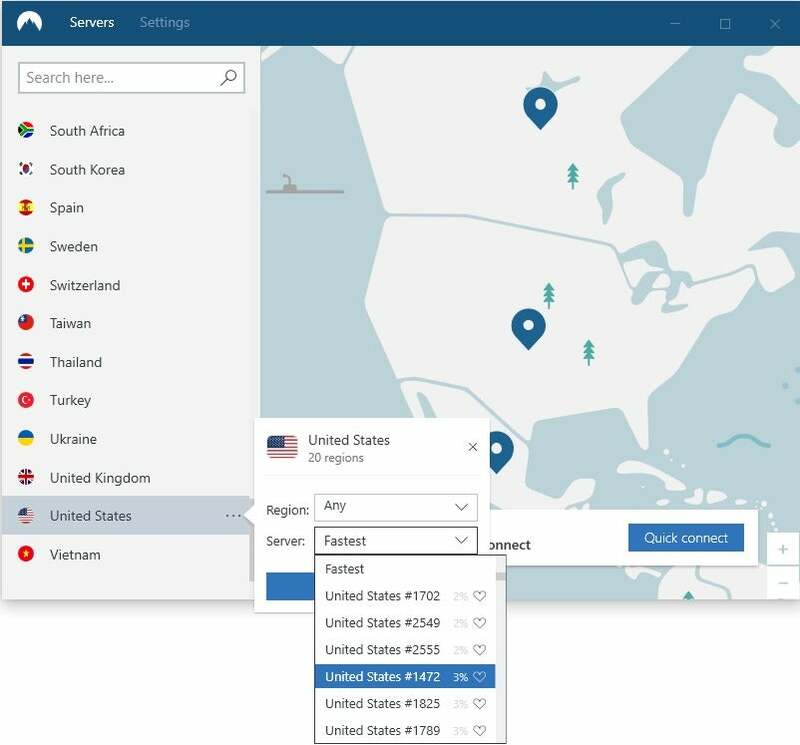 NordVPN also provides a list view of locations, as well as the ability to drill down into specific servers. 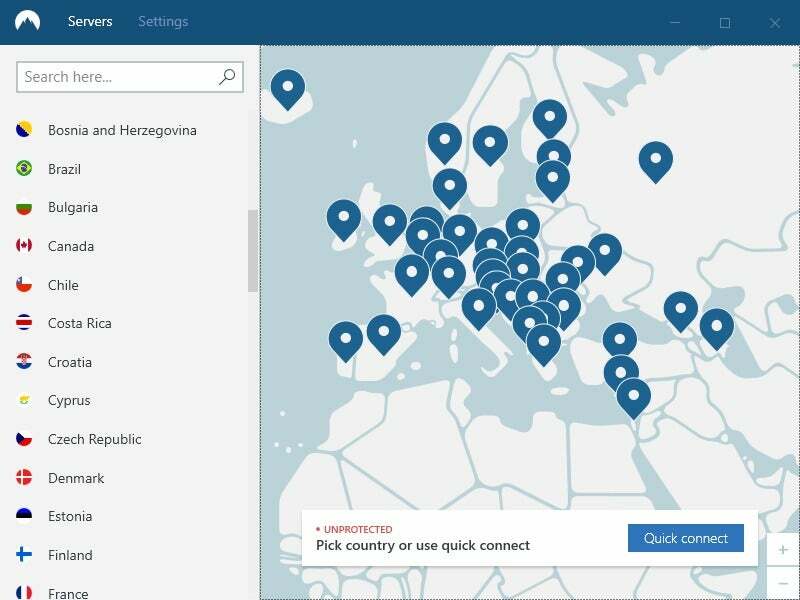 Mullvad recently overhauled its desktop app, moving from something extremely utilitarian to a sleek, single-pane app with a non-interactive map. It’s a vast improvement over what the company had before, but it doesn’t quite rise to the excellent mix of simplicity and power-user complexity that NordVPN offers. A VPN is useless if your internet connection slows to a crawl. In our tests, both VPNs busted out high speed performances, with Mullvad squeaking ahead by a few points. In our most recent tests, NordVPN kept 49 percent of the base speed across five different country locations, while Mullvad hit 52 percent. Both Mullvad and NordVPN are big on not tracking you. NordVPN says it doesn’t log any of your activity, though it does maintain a timestamp of your session status which is deleted within 15 minutes after you terminate a connection. Mullvad also has a no-logs policy and says all data is sent to dev/null, a nonexistent directory on Linux machines. When it comes to protecting your identity, Mullvad really excels. NordVPN only requires an email, which is already pretty good, and you can easily use a throwaway address to manage your account. Mullvad, however, doesn’t even want that much information. When you sign up it assigns a random account number that is your only way to access your account. No passwords that might accidentally reveal identifying information, no email address, nothing. A key component to trusting a company with your data and privacy is identifying who runs the company and where they are in the world. That’s easy with Mullvad, but NordVPN’s founders and managers remain anonymous. NordVPN did try to improve the trust situation with a recent third-party audit of its no-logs policy. The report validated most of the company’s claims; however, the audit was contracted in such a way that NordVPN is prevented from publishing the audit in full to the public—though NordVPN customers can read it online from their account dashboard. So we have anonymous leadership and a report that validates most of NordVPN’s claims but cannot be published for everyone to read. When it comes to price, NordVPN has the cheaper plans, if you pay for three years upfront. The company’s three-year plan will cost a little less than $108, working out to just under $36 per year. If you choose to pay year-by-year instead, it comes out to about $84 per year; a per-month plan is $12 per month. Mullvad’s pricing scheme is much simpler. The company charges you €5 per month, which at this writing was about $5.70. So where does that leave us? Overall, NordVPN has the cheapest plans, but if you need a month-to-month VPN at a reasonable price it’s hard to beat Mullvad as most VPNs charge $10-$12 for a single month. A popular use for a VPN when you’re overseas or just securing your connection away from home is watching Netflix. Mullvad doesn’t make any promises about being able to view Netflix, but NordVPN does. The last time we checked, NordVPN was making good on its promise. Mullvad users may occasionally find they can connect to Netflix, but it’s more of a happy accident than a guaranteed feature. NordVPN lets you choose servers. Mullvad runs its own network of servers and offers 33 country locations and more than 300 servers. NordVPN is closer to double that at 58 countries and more than 3,000 servers. Mullvad offers apps for Windows, Mac, and Linux. You can also use Mullvad on Android and iOS, but the company doesn’t provide customized apps for those platforms. 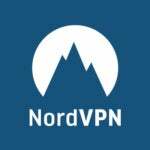 NordVPN also has apps for Windows, Mac, and Linux, as well as apps for Android and iOS. If you do a straight count of the categories above, NordVPN is ahead by one (or two if the call on pricing upsets you). Still, the speed, privacy, and trust categories are weighted more heavily since they are the key components of a VPN in our book. For that reason, we’re recommending Mullvad, which should come as no surprise since it’s the top pick in our VPN roundup. The bottom line is that Mullvad checks almost every box and there are numerous reasons to trust its service with your data. NordVPN has a long track record of service, but anonymous owners encourage rumors about what’s going on behind the scenes—as witnessed in August 2018—and is a problem that’s so easily solved. Not to mention the head-scratcher of obtaining a third-party audit of your systems that can’t be made public when the whole point is to validate your claims to the public. By our calculation there’s just no question. When it comes down to NordVPN vs. Mullvad, the latter is the clear winner.